Bring some whimsy into your home with this Playful Pup Bottle Holder. 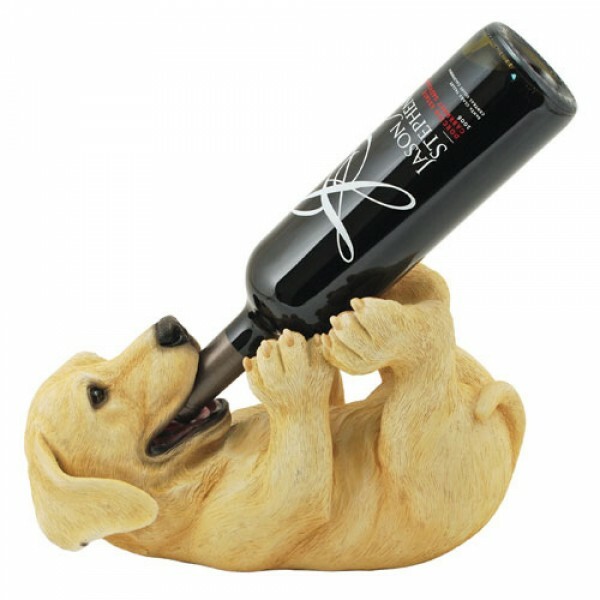 This yellow lab holds one standard wine bottle in its mouth while it balances on its back. This dog is so cute! My wife loves it because it looks like our dog.